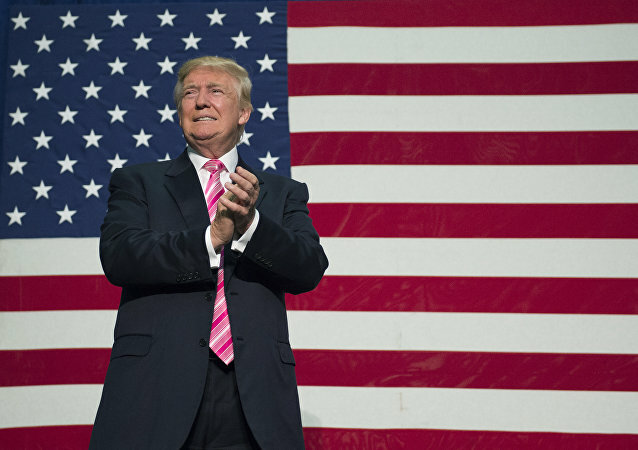 The New York Times' Tuesday article that claimed US President Donald Trump and his family engaged in fraudulent tax activities sheds light on practices often used by the wealthy, Jack Rasmus, a professor of economics at Saint Mary's College of California, told Sputnik. Obama’s back just in time to campaign for the Democrats ahead of this November’s midterm elections, returning to the political spotlight to take potshots at the President right as the “deep state’s” war against him is intensifying like never before. The former White House strategist drew a parallel between Trump's crises and that faced by US President Abraham Lincoln during the American Civil War in the 19th century. 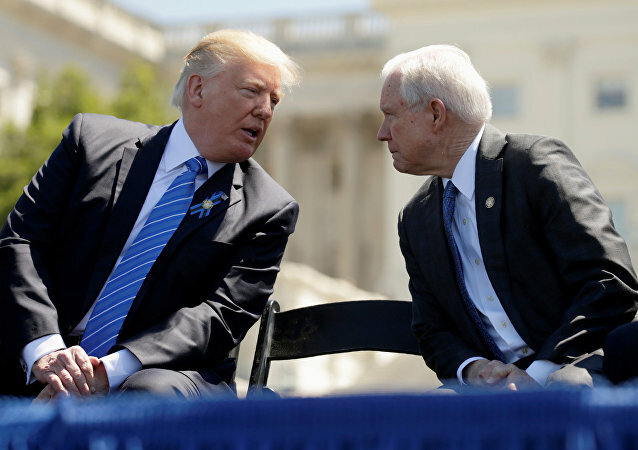 WASHINGTON (Sputnik) – US President Donald Trump told reporters that US Attorney General Jeff Sessions should investigate who is behind the controversial anonymous New York Times op-ed that criticizes his leadership. 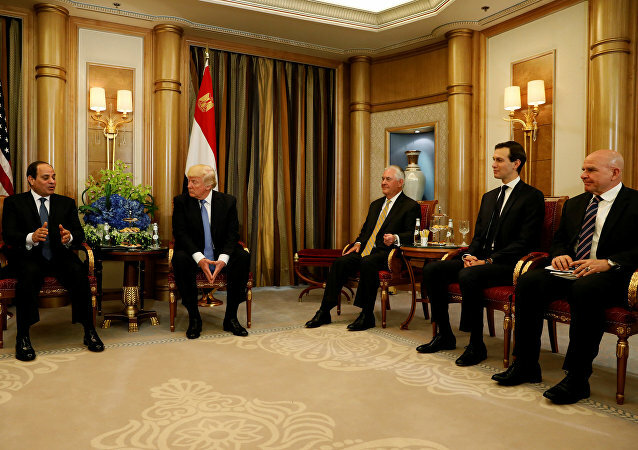 A game of cat and mouse has begun in the White House after US Vice President Mike Pence, Secretary of State Mike Pompeo and over a dozen other Trump administration officials have denied taking part in the bombshell op-ed published Wednesday in the New York Times. The War Within the Trump White House - Where Does It End? 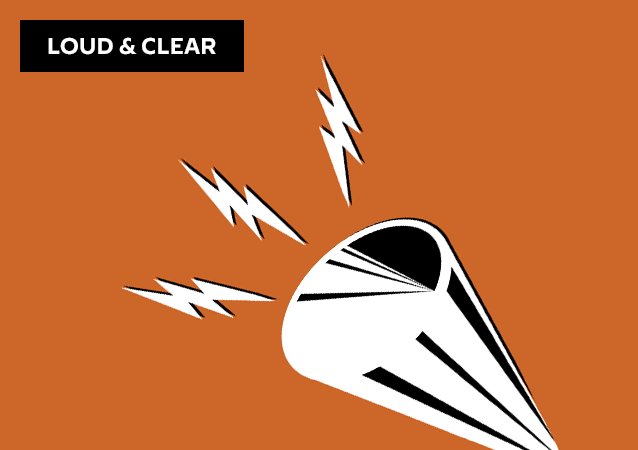 On today's episode of Loud & Clear, Brian Becker and John Kiriakou are joined by Joe Lauria, the editor-in-chief of Consortium News, founded by the late Robert Parry, and the author of the book "How I Lost, By Hillary Clinton," and Ted Rall, an award-winning editorial cartoonist and columnist. US President Donald Trump lambasted an op-ed published in the New York Times by an "anonymous senior Trump administration official" as a "gutless" disgrace on Wednesday afternoon. The opinion writer claimed to be working on behalf of "the Resistance" movement to thwart Trump's agenda. The Italian actress is accused of paying "hush money" to Jimmy Bennett after a sexual encounter she wanted to keep secret. 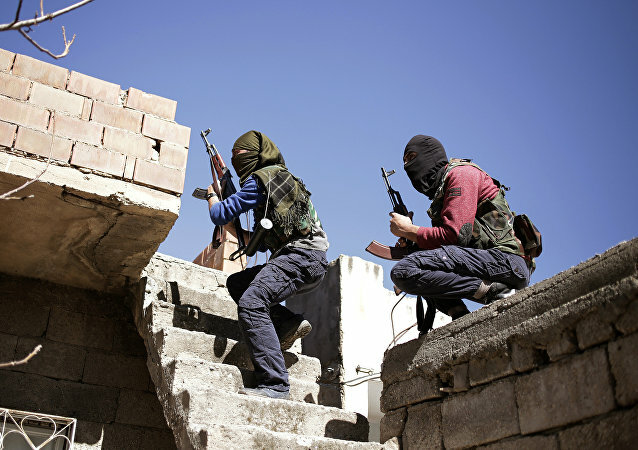 Ibrahim Kalin, the Turkish president's official representative, has accused the US newspaper The New York Times of attempting to justify the activities of the Kurdistan Workers' Party (PKK). WASHINGTON (Sputnik) - The seizure of data from a New York Times reporter sets a dangerous precedent as it marks the first time that US authorities have sought to gain access to a reporter’s records since President Donald Trump took office, a journalists’ rights group said in a statement. Special Counsel Robert Mueller’s investigation into alleged foreign meddling in the 2016 US election took an unexpected turn as it is now looking into “social media manipulation” by an Israeli-linked company, The New York Times reported. As the world celebrates Press Freedom Day on May 3, the “freedom” element is currently not doing so well in many Western countries. Sputnik has discussed the issue of the state of independent journalism in the world with Danny Haiphong, a New York journalist for the Black Agenda Report. Almost twenty years ago, the US Department of Defense was involved in dismantling a chemical research institute in the former Soviet republic of Uzbekistan, where the Novichok nerve agent was tested, according to the New York Times. US Department of Justice special counsel Robert Mueller’s investigation into the alleged ties between the campaign of Donald Trump and Russian actors has taken a turn, as he announced an investigation into George Nader, a Lebanese-American businessman who lobbied in Washington on behalf of the United Arab Emirates. 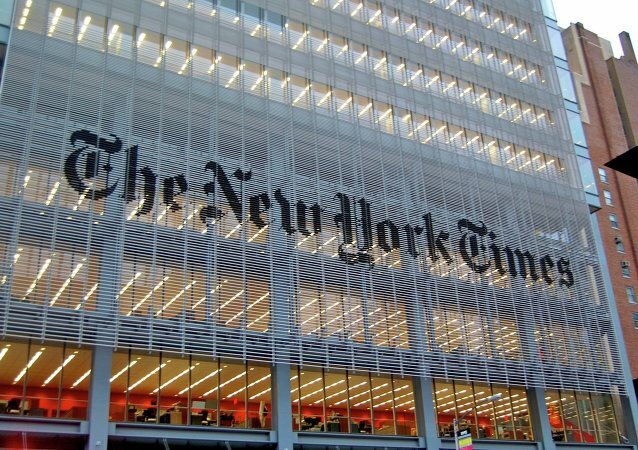 The New York Times has reportedly acquired the results of the military investigation into the October ambush of US and Nigerien troops that left four Americans and five Nigeriens dead. The report recommends fewer ground missions and higher required levels of command approval for operations. The New York Times has reported that the Department of Defense (DoD) has been slow to release their detailed war plans with the White House as they fear US President Donald Trump may actually use them. 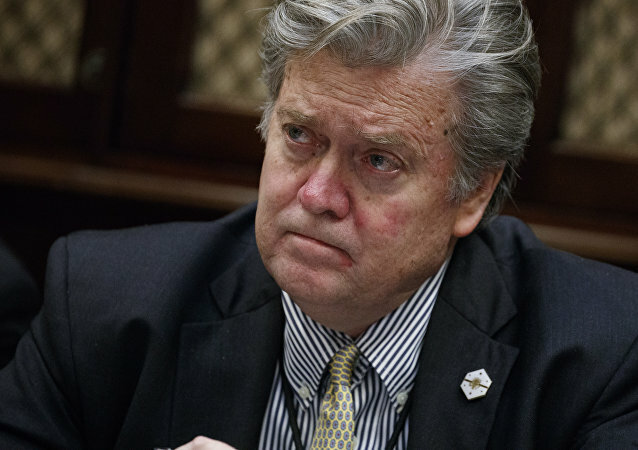 Former White House Chief Strategist Steve Bannon has been subpoenaed to testify before a grand jury, supposedly on alleged ties between the presidential campaign of Donald Trump and Russian actors. The New York Times published an article on Thursday night claiming that US President Donald Trump ordered the White House’s top attorney to tell Attorney General Jeff Sessions to not recuse himself from the investigation into alleged ties between the Trump campaign and Russian actors. 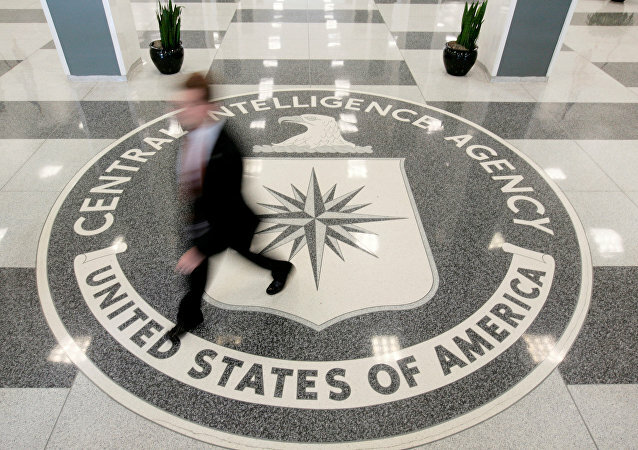 A new Pentagon report claiming that Iran supports terrorist groups such as the Taliban and al-Qaeda has been disseminated through American media outlets - but has come under fire for wishy-washy claims about the said connections.